Online Poker Legal: Yes, Nevada online poker sites are fully regulated and operational. Outlook: Nevada became the first state to fully authorize online poker in 2012, with the first regulated online poker rooms opening in 2013 and joining international sites that already allow play by Nevadans. Details: Nevada was formerly one of approximately 13 US states where internet gambling was expressly banned by legal statute, a process dating back to 1996 and the first wave of interactive, online gambling sites. Back then, Nevada’s powerful land-based casino industry acted quickly to make playing on such sites by Nevadans illegal, even though the original statute as passed back then was never enforced. 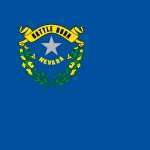 That original statute fell under Nevada Regulatory Statute (NRS) Section 463, the omnibus statute dedicated to the state’s gambling regulations. The original NRS 463.016425 was where interactive gambling was defined by the state in legal terms. That definition and related subsections were subsequently modified in 2001, 2009 and 2011 as Nevada slowly reversed its original stance to where the playing of online poker is now fully legal. The most important of those changes came in late 2011. This important modification to Nevada statutes, written as Assembly Bill 258, specifically authorized “internet poker” within Nevada and created separate business categories — manufacturer of interactive gaming systems, operator of interactive gaming, and service provider – to provide for Nevada poker players, each category to be approved by the Nevada Gaming Commission. Most major Nevada casinos announced plans to launch sites once state approval had been granted, with many of the state’s casinos also entering into software partnerships with major overseas sites and networks such as PartyGaming, Playtech and Amaya Gaming (OnGame), as they began a deliberate rush to market. Early on, it appeared that Las Vegas-based South Point Hotel & Casino might be the first state-authorized poker site to go live, but that honor instead went to Ultimate Poker, a site branded in conjunction with the Ultimate Fighting Championships (mixed martial arts), owned by Fertitta Interactive and associated with Nevada’s Station Casinos chain. A.B. 258, the 2011 measure that fully legalized online poker for Nevada residents, originally contained language limiting the state to intrastate (inside Nevada only play), and deferred any interstate or international access to any federal laws which might later go into effect. Nevada reversed that stance in early 2013, passing an amendment which removed any dependence on future federal laws and allows state officials to negotiate with other states, tribal nations, or other countries to enter into compacts through which players of those other jurisdictions may participate on Nevada-based sites. To date, no other jurisdictions have entered into such an agreement with Nevada, but such deals are very likely to occur in the future once the market develops further. For now, given access both to state-regulated sites and international offerings, Nevada online poker players have the best of both worlds. With the legalization of online poker in the state, many popular offshore poker options such as Bovada, Americas Cardroom and BetOnline left Nevada completely. This was most likely due to possible legal ramifications down the road and also because when regulated online poker, it was just more convenient for Nevada residents to play at these types of sites – not to mention it was must easier to deposit and withdraw funds at these new rooms. As it stands right now, the main legal poker site continues to be WSOP.com, which is powered by 888 Poker software. They enjoy a near monopoly in the state as far as online poker is concerned, especially since poker sites like Ultimate Poker shut down and closed up shop after starting out fast as one of the first options for Nevada poker players. in 2015, a landmark agreement was made between Nevada and Delaware to start sharing player pools with one another. At the time, the Delaware’s online poker traffic was stagnant at best. The pact allowed Delaware’s three online poker sites to share their player pools with the much larger player pool at WSOP.com Nevada.